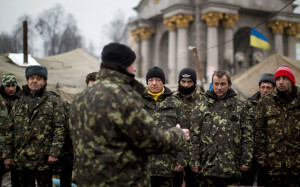 KIEV, Ukraine | Ukraine’s besieged interim government raced to head off violence that might set off a Russian invasion of its eastern provinces on Sunday, recruiting wealthy eastern businessmen to become provincial governors in an effort to dampen secessionist sentiment there. 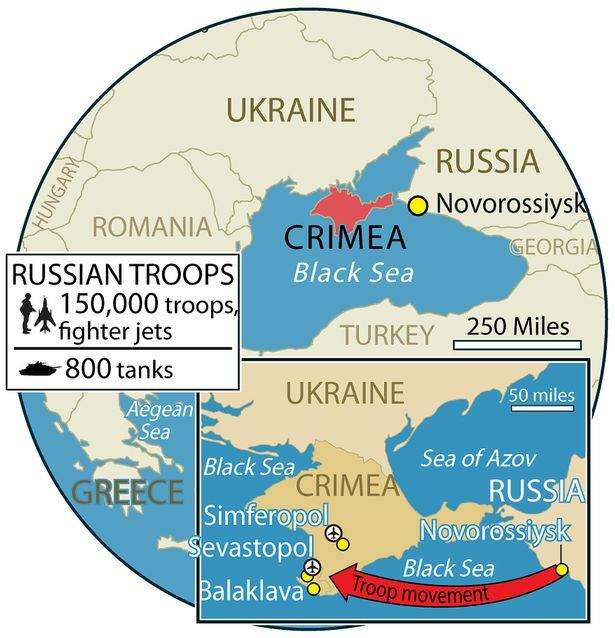 As complete Russian control of Ukraine’s Crimean Peninsula became a reality on Sunday, with Western officials reporting that thousands more Russian troops were flowing into the region, worries mounted in Kiev that the mostly ethnic-Russian east could be next to fall. The office of President Oleksandr Turchynov announced the two appointments on Sunday of two billionaires – Sergei Taruta in Donetsk and Ihor Kolomoysky in Dnipropetrovsk – and more were reportedly under consideration for positions in the eastern regions. The strategy is recognition that the oligarchs represent the country’s industrial and business elite, and hold great influence over thousands of workers in the east. Officials said the hope was that they could dampen secessionist hopes in the east and keep violent outbreaks – like fighting between pro-Western and pro-Russian protesters in Kharkiv that put at least 100 people in the hospital on Saturday – from providing a rationale for a Russian invasion in the name of protecting ethnic Russians. 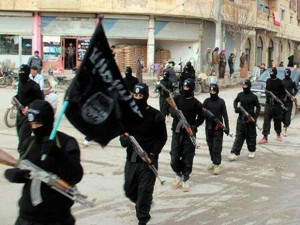 Fighters from the Al-Qaeda-linked Islamic State of Iraq & al-Sham (ISIS) march in Raqqa, Syria. A militant Islamist group has demanded Christians living in the north-east of Syria pay it a tax in return for protection as it seeks to build a traditional “Caliphate” in areas it controls. The demand carries weight because ISIS, which grew out of al-Qaeda in Iraq, has become the most feared militia in Syria. It has now been disavowed by Osama bin Laden’s replacement as al-Qaeda leader, Ayman al-Zawahiri, and is effectively at war with the rest of the rebel movement, including Jabhat al-Nusra, the group seen by al-Qaeda as its representative in Syria. It controls nearly all of Raqqa province in the north-east, where it is attempting to build the institutions of an Islamic state. The decree refers to Christians as “dhimmis” – effectively protected minorities – a term that originated in the seventh century when the Muslim world was ruled by a single religious leader, the Caliph. Christians used to make up around one in ten of Syria’s 22 million population, but the civil war has forced an estimated 500,000 to flee their homes and villages, which are scattered across the country. Some 1,200 are thought to have been killed. CAIRO | Egypt’s military leaders have come under ridicule after the chief army engineer unveiled what he described as a “miraculous” set of devices that detect and cure AIDS, hepatitis and other viruses. The claim, dismissed by experts and called “shocking to scientists” by president’s science adviser, strikes a blow to the army’s carefully managed image as the savior of the nation. It also comes as military chief Field Marshal Abdel-Fattah el-Sissi, who toppled Mohammed Morsi in July after the Islamist leader ignored mass protests calling for him to step down, isexpected to announce he’ll run for president. 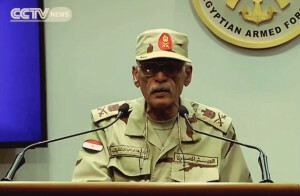 The televised presentation – which was made to el-Sissi, interim President Adly Mansour and other senior officials – raised concerns that the military’s offer of seemingly inconceivable future devices will draw Egypt back into the broken promises of authoritarian rule, when Hosni Mubarak frequently announced grand initiatives that failed to meet expectations. “The men of the armed forces have achieved a scientific leap by inventing the detecting devices,” military spokesman Col. Ahmed Mohammed Ali wrote later on his official Facebook page. Ali said a patent has been filed under the name of the Armed Forces Engineering Agency. Well-known writer Hamdi Rizk noted that video clips of the presentation had gone viral on social media, with tweets and blogs saying the military had made a fool of itself and put its reputation in jeopardy. Professor Massimo Pinzani, a liver specialist and director of the Institute for Liver and Digestive Health at University College London, said he attended a demonstration of the C-Fast device during a visit to Egypt but “was not given convincing explanations about the technology” and wasn’t allowed to try it for himself. “As it is at present, the device is proposed without any convincing technical and scientific basis and, until this is clearly provided, it should be regarded as a potential fraud,” he wrote in an email to The Associated Press. None of the research has been published in a reputable journal. He added that both Mansour and el-Sissi were surprised and their presence in the audience did not indicate approval. b) What do you think of President Oleksandr Turchynov’s attempts to prevent secessionist hopes in Russian-majority areas of Ukraine? Considering the lack of U.S., Western and/or UN assistance, is this a good strategy? Explain your answer. c) Russia is a permanent member of the UN Security Council not because of its population or economy (which are small and weak), but only because of the size of its military and nuclear arsenal. As a permanent member of the UN Security Council, Russia has voted down sanctions or any type of intervention in Syria numerous times, but has now sent troops into Ukraine. What steps must the UN take regarding Russian intervention in Ukraine to prove that it is not an ineffective and irrelevant organization in the world? b) Define Caliphate, jizya, dhimmi and ISIS as used in the report. c) What must Syrian Christians in ISIS-controlled areas of Syria do to prevent these Islamists from harming them? What will they be permitted/prohibited by ISIS from doing in exchange for this? d) Consider President Obama’s denunciation of Uganda’s recently passed law criminalizing homosexuality. Do you think the President and other Western countries will issue such a strong condemnation of persecution of Christians by Islamists? Explain your answer. e) How do you think the Obama administration should react to a Muslim country where Christian persecution takes place? b) Maj. Gen. Ibrahim Abdel-Atti, head of the Egyptian Army’s Cancer Treatment and Screening center said “I defeated AIDS with the grace of my God [Allah] at the rate of 100% . And I defeated hepatitis C.” How is it claimed the “Complete Cure Device” works? Abdullah said two of the devices named C-Fast and I Fast used electromagnetism to detect AIDS, hepatitis and other viruses without taking blood samples while the third, named Complete Cure Device, acted as a dialysis unit to purify the blood. He also said the C-FAST, which looks an antenna affixed to the handle of a blender, detected patients infected with viruses that cause hepatitis and AIDS with a high success rate. The next day, Abdel-Atti and his team held their own press conference at which the scientist said “I take AIDS from the patient and nourish the patient on the AIDS by giving him a skewer of AIDS kofta,” a meat dish. Gamal Shiha, head of the Association for Liver Patients Care, one of Egypt’s prominent centers that worked alongside with the military, said he was angry about the “hasty” announcements. He said only one of the devices – C-FAST – underwent thorough testing. Despite the skepticism, Health Ministry spokesman Mohammed Fathallah said the ministry recognizes the devices as legitimate. Egypt’s former Health Minister Amr Helmi, a liver surgeon by profession, said C-Fast had been approved by the ministry two years ago but he had never before heard of the other two devices. “I defeated AIDS with the grace of my God [Allah] at the rate of 100% . And I defeated hepatitis C,” said Maj. Gen. Ibrahim Abdel-Atti, head of the Egyptian Army’s Cancer Treatment and Screening center. The so-called “Complete Cure Device” draws blood from a patient, breaks down the disease and returns the purified blood back to the body, according to Dr. Ihsan Hanfy Hussein, a member of Abdel-Atti’s research team. She said it cures the ailments in as little as 16 hours. He paid tribute to the military chief and unofficial presidential hopeful, Field Marshal Abdel Fattah El-Sisi, who attended the unveiling of the “miracle” device registered under the armed forces and approved by the country’s Ministry of Health. Egypt contains the highest prevalence of hepatitis C worldwide, with at least 10% of the population suffering from the disease, according to the Centers for Disease Control and Prevention.